Daily Forex market analyst, Forex analysis online. 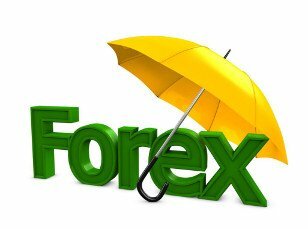 In this section you will find a fundamental and technical analysis of the Forex market for online trading. Follow the publications of our experts, and you will be able to objectively assess the situation not only on the international currency market Forex, but on all other world trading platforms. With the help of professional analysis of the foreign exchange market, you can invest your money. April 25, 2019 : GBP/USD Intraday technical analysis and trade recommendations. Instead, the depicted recent bearish channel was established. On March 29, the price levels near 1.2980 (the lower limit of the depicted movement channel) demonstrated significant bullish rejection. This brought the GBPUSD pair again towards the price zone of (1.3160-1.3180) where the upper limit of the depicted bearish channel as well as the backside of the depicted uptrend line demonstrated significant bearish rejection. Since then, Short-term outlook has turned into bearish towards 1.2900, 1.2800 and 1.2750 where the lower limit of the depicted channel comes to meet the GBPUSD pair. Conservative traders should be waiting for a bullish pullback towards 1.3045-1.3080 for a valid SELL entry. TP levels to be located around 1.2950, 1.2905 and 1.2800 and S/L to be located above 1.3100. 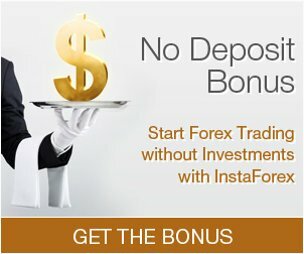 The material has been provided by InstaForex Company - www.instaforex.com. BTC price has been trading upwards in past few hours and the level of $5.462 got tested. There is potential for more upside on the near term. BTC price broke above the important $5.443 resistance trendline and on that way confirmed further strength. Most recently that price did reject from the strong support zone (green rectangle) at $5.368, which is sign that buyers came into the market. MACD is showing bullish divergence, which is another sign of the potential strength. Upward target at the price of $5.596. The US dollar once again rose against the European currency and the British pound after the report on the demand for durable goods in the United States. Just excellent performance over the past seven months, which exceeded all expectations of economists, only increased the demand for the US dollar. The report indicates that the growth was due to increased orders for civil and military aircraft, which are very volatile. According to the US Department of Commerce, orders for durable goods, which have a service life of more than three years, in March of this year increased by 2.7% compared with February and amounted to $258.52 billion. Economists had expected orders to grow only by 0.8% in March compared with the previous month. Data for February has also been revised for the better. The report indicates that the February drop in orders was 1.1%, while the initial estimate stated a decline of 1.6%. If we take the general data for the 1st quarter of 2019, then the demand for durable goods increased by 3% compared with the same period of 2018. As mentioned earlier, orders for non-defense goods, excluding aircraft, rose by 1.3% in March, after rising by 0.1% in February. For the first quarter, orders in this category increased by 2.8% compared to the same period in 2018. Orders for civil aircraft in March increased by 31.2% compared with February, and orders for defense goods increased by 7.4% compared with the previous month. Given the good growth rates of orders, everything suggests that the investments of American companies in the 1st quarter of this year will also show an excellent result, which will benefit the American economy and lead to its growth. Today, a report on the labor market was also published, in which optimism among traders diminished compared with previous figures. According to the US Department of Labor, the number of Americans applying for unemployment benefits for the first time has increased dramatically. Despite the growth, the data are only weekly and do not greatly affect the overall situation. Thus, the number of initial applications for unemployment benefits for the week from April 14 to 20 increased by 37,000 and amounted to 230,000. Economists had expected the number of applications to be 200,000. The moving average of applications for four weeks also increased by 4,500 and amounted to 206,000. Such data also indicate a small deficit in the labor market, as employers do not want to dismiss their employees. Let me remind you that last month, the unemployment rate in the United States was 3.8%. As for the technical outlook for the EURUSD pair for the next few days, the sellers will still strive to upgrade the major support level at 1.1080, and the buyers will try to reach the resistance of 1.1180, which could put further bearish momentum in risky assets into question. Buyers of the pound cannot find a good level of support from which it would be possible to build an upward correction. At the moment, the task of the bulls is to break and consolidate above the resistance of 1.2900, which will lead to the growth of the pound in the resistance area of 1.2929, where I recommend fixing the profits. In the scenario of further pair decline, it is best to consider long positions after the formation of a false breakout in the area of 1.2867 or a rebound from a larger minimum of 1.2812. Bears will try to prevent the growth of the pound above the resistance of 1.2899, and the formation of a false breakdown there after the correction in the second half of the day will lead to a repeated decline in GBP/USD to the minimum of 1.2867. The main task of the sellers of the pound will be to consolidate below this range with the update of the level of 1.2812, where I recommend fixing the profit. When the growth scenario is above the resistance of 1.2899, you can sell a pound to rebound from a maximum of 1.2929. Trading is conducted below 30 and 50 moving averages, which indicates the preservation of the bearish nature of the market. In the case of growth, the upper limit of the Bollinger Bands indicator around 1.2924 will act as resistance, from which you can sell a pound for a rebound. Euro buyers are expected to return to the market after updating the support level of 1.122, which I paid attention to in my morning forecast. At the moment, the main task of the bulls will be to break and consolidate above the resistance of 1.1150, which was formed in the first half of the day. Only then can we expect a larger upward correction with the test of the upper limit, perhaps a new side channel 1.1177, where I recommend fixing the profits. With a repeated decline of the euro in the area of 1.1122, it is best to return to long positions on the rebound from 1.1079. Bears coped with the morning task and reached the support of 1.122. At the moment, an unsuccessful attempt to consolidate at the level of 1.1150 will be a new signal to open short positions in order to re-update the minimum of 1.1122 and its breakdown, which will lead EUR/USD to the support area of 1.1079, where I recommend fixing the profit. With the growth of EUR/USD above the resistance of 1.1150, it is possible to open short positions on a rebound from the maximum of 1.1177, which can act as the upper limit of the new side channel. Trading is below 30 and 50 moving averages, which indicates the bearish nature of the market. In the case of growth, the upper limit of the Bollinger Bands indicator in the area of 1.1170 will act as resistance from which you can sell the euro for a rebound. EUR/USD price continues to trade lower at the price of 1.1124. New downside momentum is present. Selling still favorable. EUR/USD price broke below the important 1.1183 support area and on that way confirmed further weakness. Most recently that price did break 12-H balance low at 1.1135, which is another confirmation of the strong selling pressure. MACD showed new momentum down and increasing of selling power. As long as the EUR is trading below the yellow supply line, the short-term trend is bearish. Downward target is set at the price of 1.1065. Gold price continues to trade sideways at the price of $1.275.00. Potential bearish flag in creation suggests further downward continuation. Gold price broke below the important $1,280.00 support area and on that way completed the complex head and shoulders pattern, which is sign of the further weakness on the Gold. Current rally-test is normal after the breakout in order to go further lower. As long as the price is getting accepted below the $1.280.00, we are bearish on the Gold. Watch for potential breakout of the bearish flag to confirm further downward continuation. The downward targets are set at the price of $1.249.50, $1.231.40 and $1.211.30. The Technical Analysis for BCH/USD during US Market Opening on Thursday April 25, 2019. When the US market opened, the BCH/USD pair seemed to be trying to reach its first target at the 295.44 level. If this level is hit, the pair is likely to move up towards its second target at the middle Pitchfork Channel. As long as the BCH/USD pair does not break through and close below the 279.55 level, the bias is bullish. Despite the fact that previously many experts predicted a weakening of the greenback, the dollar has strengthened against its main competitors by almost 2% since the beginning of this year. On the eve of the USD index, it rose above the level of 98 points, reaching peak values from May 2017. "The US has the most dynamic economy. Therefore, when investors see weak data around the world, they look to the dollar, "said Axel Merck, president of Merk Investments. According to Commerzbank currency strategist Thu Lan Nguyen, the United States now looks like an oasis because it seems that the country's economy is not connected with the rest of the world. The weak economic performance of the eurozone makes the ECB be even more cautious than the Fed, which announced its intention to "show patience" in the matter of monetary policy. At the same time, the Bank of Canada recognizes that "soft" monetary policy is still in demand. The position of the Central Bank of Australia is also shifting to the "dovish" side. In turn, the Bank of Japan intends to keep the interest rates low at least until next spring. It should be noted that the yield on 10-year US Treasury securities is about 2.5% and this is the highest rate among developed countries. Similar securities of Canada and Australia are traded with a yield of less than 2% while in Germany and Japan, the indicator is in negative territory. "When investors see that something is wrong in the world, they usually go to buy US Treasury bonds. Now a lot of things are brewing and the inflow of investments in dollar bonds is not weakening, "said Thomas Vacker from UBS Global Wealth Management. According to experts, the US currency can still update its best levels, since investors are positive about the data on US GDP for the first quarter, which will be published tomorrow. According to forecasts, the economic growth of the world's largest economy will be 2.2%. After yesterday's breakthrough of strong support today, we can expect a counter pullback of the price on the chart. Most likely part of the resistance zone will be completed. On the daily scale of the euro since September last year, a corrective bullish wave is being formed. Until recently, it developed as a standard plane but it took the form of a descending triangle this week. The last wave is bearish starting from March 20th and its structure is not yet complete. Since April 12, the final part (C) has developed. Before the final downward movement in the coming sessions, the probability of a flat rollback remains and possibly with a rising vector. The reference point of lifting the limit is the zone of resistance. The descending wave has stepped into the final phase, therefore, trading against its trend is irrelevant. The upcoming traffic is recommended to use in entering the sales of the pair on more favorable terms. On the chart from March 13, the pound is forming a downward wave. In the last wave model of daytime timeframe, it will take the place of correction. The final part (C) is developing in the wave structure to the current day. After yesterday's breakthrough of strong support, we can expect a counter pullback of the price today. The most likely part of its completion is the resistance zone. Purchases against the dominant fall in the course are very risky. When the price approaches the reversal settlement zone, it is recommended to track the signals of your vehicle for sale to the pound. The directions of the intraday trends of the Aussies fit into the algorithm of the unfinished bearish wave of January 31. On April 17, the final part (C) started. After breaking through a strong support level, the beginning of a small-scale rising wave appeared on the chart. In the near future, a strong price level will become the point of attraction for the price of the pair. Today, there is a high probability that the current decline will be transferred to the side area, the upper boundary of which is the calculated resistance zone. Despite the possible price increase, purchases are not recommended. Given the rich news background, there is a high probability of increased volatility of the pair in the market today. In the area of resistance, it is suggested to follow the reversal signals with the prospect of opening deals for sale. Explanations to the figures: Waves in the simplified wave analysis consist of 3 parts (A – B – C). The last incomplete wave has been analyzed. Zones show the areas where it will most likely to turn. The arrows indicate the wave marking according to the method used by the author, as well as, the formed background with a solid background. The expected movements are dotted. According to experts, the short-term price dynamics for the yellow metal depends on a number of fundamental factors. In the future, conjuncture on inflation, interest rates, and the US dollar will affect the value of gold. They will be decisive for the precious metals market, analysts say. Long-term investors do not always pay attention to the dynamics of the price of gold. It is much more important for them to fix the yield from the many-year price increase for the yellow metal. However, it is necessary to monitor short-term fluctuations in value if you need to increase investment in the precious metal. Experts pay attention to a number of factors that cannot be ignored when assessing the situation on the gold market. Market conditions. In a situation when market conditions are positive, securities become an attractive asset for investment. In the event of a worsening economic outlook, part of your capital should be transferred to gold in order to protect it from volatility in financial markets. In this situation, the precious metal will receive support for growth. The rate of inflation. One of the main factors is high inflation rates for investors for buying precious metal in order to diversify their assets. The cost of the yellow metal in conditions of hyperinflation increases significantly. In this situation, the national currency depreciates and the demand for precious metals reaches record levels. Note that low inflation in the United States has become one of the reasons for the suspension of the rise in interest rates by the Fed. Dynamics of interest rates. When the regulator raises interest rates, it negatively affects the value of gold. In this case, traditional assets (for example, shares) bring more returns to investors, while precious metals do not provide interest income. At the same time, the high rates of the US Federal Reserve are strengthening the US currency and the price of gold is under pressure, as they have an inverse correlation to each other. The dynamics of the American currency. The yellow metal is traded worldwide in US dollars. With the growth of its course, the global value of the precious metal decreases. Against the background of the strengthening of the US dollar, other national currencies depreciate, and the price of gold increases. For example, the devaluation of the Russian ruble doubled the value of the precious metal in rubles at a double rate. According to experts, gold is a real asset that retains its purchasing power for a long time. In the case of a decline in confidence in the traditional currency, its value decreases and the demand for gold begins to grow. Currently, market participants are seeking to actively influence the market for precious metals. In this case, experts advise to buy gold, focusing on the long term, so as not to depend on short-term price fluctuations. Bitcoin has made a correctional decline to near $5,250 after the price had been rejected off $5 500 recently with a daily close. The price has been quite impulsive and still non-volatile with the upward pressure which could resume bullish momentum in the short term. The price is currently expected to retrace towards $5,250 where there are dynamic level as well as the strong Horizontal Support level. After a bearish daily close yesterday, the price is currently stalling to find a definite momentum to push the price with strong pressure. As the bias is bullish, the upcoming bearish pressure is expected to trigger a retracement in the longer trend. So, the price is likely to reach $6,000 in the coming days. As the price remains above $5,000 with a daily close, the bullish bias is expected to continue further in the coming days. EUR/USD has been quite non-volatile and impulsive amid the recent bearish pressure which pushed the pair below 1.1200. Now the pair is heading towards 1.10 support area. Yesterday, an IFO survey revealed a surprise deterioration in business sentiment in Germany and the eurozone. meanwhile, USD is taking advantage of EUR weakness. The ECB mentioned in its last monthly economic bulletin that the instant impact of US car tariffs would be small for the European economy. This indicates that the monetary authorities aren't too anxious about the prospects of tariffs. The comments gave some help to the single currency. But the overall bearish pressure still persists as the other economic data was not seen to be positive. The euro area's real Gross Domestic Product rose by 0.2% in Q4 2018. Annual HICP inflation eased to 1.4% in March 2019, the annual growth rate of loans to non-financial corporations rebounded to 3.7% in February 2019. The slowdown in the eurozone's economy is pushing the EUR/USD pair down. EUR/USD remains under pressure and continues to challenge the 1.12 area. French Flash Services PMI was better than expected at 50.5 while German Flash Manufacturing PMI became 44.5. Yesterday, an IFO survey added to the negative sentiment on EUR as Business climate index for Germany dropped to 99.2 from 99.6. The current assessment of Business climate index sank to 103.2 from 103.8 while business expectations weakened to 95.2 from 95.6. The Spanish Flash GDP will be published next week along with the Core CPI Flash Estimates. The market sentiment on EUR is expected to be bearish in the short term. On the USD side, the amazing rise in new home sales amid lower mortgage rates suggests that the US housing markets could be on a better path than originally predicted. The core durable goods orders are expected to increase from -0.1% to 0.2%. Besides, flash GDP is predicted to be unchanged. The current sentiment on GDP is better than expected as FED has expressed confidence about the labor market and GDP to grow in Q2 of 2019. Under the current market conditions, EUR/USD is facing a key area of 1.2 where it might be more bearish if US GDP can beat the expectations. USD is expected to set the tone in the pair if the forecasts of the economic reports come true. In case if the economic reports are worse-than-expected, the pair could respond with weakness and a volatility spike. Now let us look at the technical view. The price broke below a key support area recently with a strong bearish daily close that suggests further bearish momentum in the coming days. The impulsive bearish pressure could push the price lower towards 1.1000-50 support area from where certain bullish intervention may occur. As the price remains below 1.1300 area with a daily close, the pair is goig to trade under bearish pressure. The US dollar strengthened strongly on Wednesday in the wake of continuing concerns about the continued growth of the global economy proves that investors are not only not sure that this growth will continue as they also fear the collapse of financial bubbles formed in recent years. The dynamics of market assets clearly indicate that there is a significant proportion of investors willing to continue to play up the value of assets in the hope that the Fed and other global central banks will return to the practice of supporting economies, the so-called quantitative easing (QE). At the same time, there is a no less representative number of market players who assess the current state of affairs as critical. They avoid market activity and seek to insure their market risks with the purchase of defensive assets. This primarily refers to government bonds of an economically strong country where US Treasury government securities lead. After the profitability of treasuries went up from the end of March amid hopes that the Fed could begin the process of lowering interest rates in the second half of this year. Their sharp decline on Wednesday suggests that if investors' expectations have not changed significantly, then it'll noticeably reeled. In our opinion, the reason for this was the drop in hopes that the PRC and the United States would agree on the rules of trade and the aggravation of trade relations between the EU and Washington only strengthened these sentiments but these hopes have been the cornerstone that stimulated positive sentiment all these time. An additional negative was the news that the Chinese authorities can, if not cease measures to stimulate the national economy, significantly reduce this assistance. We relate the sharp appreciation of the dollar with precisely those persistent fears and processes that are indicated above. For the time being, a sharp recovery in the dollar can be associated in closing positions against it but not with a change in investors' general ideas regarding the future prospects for the development of the situation in the markets. Recently, the dollar has dropped significantly to some major currencies but remained in the range. It is likely that this trend will continue to stay in these ranges before the May Fed meeting on monetary policy, although the dollar may continue to strengthen locally. The EUR/USD pair fell to the lower boundary of the lateral range of 1.1145. The pair may rebound to 1.1185. We believe that it must be sold from this mark. Also, the pair should be sold if the level 1.1145 is broken with a probable target of 1.1100. The AUD/USD can also be adjusted up to 0.7035. We consider it possible to sell it, approximately from this level with targets of 0.7000 and 0.6980. The reduction of the pound is understandable because British politicians have forgotten to take a cure for headaches and continue to suffer because of the consequences of the rapid celebration of Easter. In particular, Theresa May's associates in the Conservative Party are now demanding that "Iron Lady 2.0" be presented to them for their resignation plan. Just think about it - a retirement plan. Apparently, in this regard, it should be described when and in what sequence the Prime Minister will consider a number of events, after which he will announce his resignation. Not only that the situation itself is really comical, but it also does not add confidence in what will happen next, especially in terms of negotiations with the Laborites regarding Brexit. Hence, everything seems to be a banal diversion on the part of the conservatives, disgruntled by that such a serious matter has to be discussed with their opponents. Although these same opponents have a majority in parliament and any politician is forced to coordinate his intentions with them. But besides this, market participants were disappointed with data on public sector borrowing, which increased by 0.8 billion pounds instead of decreasing by 0.4 billion pounds. But frankly, what is happening with a single European currency cannot be understood. There was no macroeconomic data that came out and no one made loud statements. Attempts to explain what is happening with a decrease in the pound also do not withstand criticism, since the single European currency became cheaper much more than this very pound. It seems that some of the very large players close their positions and to produce a similar effect can only the largest banks. Moreover, the headquarters of the most likely candidate is located in Frankfurt am Main. Simply, it is he who is the largest player in the foreign exchange market. Yet, we learn about it only after the largest banks publish their statements for the month of April. So for now, it is better to remain cautious and stay away from the single European currency. Today, data on applications for unemployment benefits are published in the United States. The total number of which may increase by 54 thousand. In particular, the number of initial applications should increase by 8 thousand and those repeat requests by as many as 46 thousand. Orders for durable goods can show an increase of 0.8%. The euro/dollar currency pair continued its intensive decline, going down to the level of 1.1141. Probably assume a temporary stagnation of 1.1140 / 1.1165, where traders analyze the boundaries for breakdown to place further trading orders. The pound/dollar currency pair, as well as its fellow euro/dollar, continued the downward movement directed to the value of 1.2888. It is likely that the current ambiguous Doji type candles will result in a stagnation of 1.2890/1.2920, where traders will take a waiting position and will work based on the Border Break Method. The weaker than expected macroeconomic indicators of most countries are forcing central banks to abandon plans to normalize monetary policy and look for additional measures to stimulate. Currently, the markets do not expect a rate hike in the foreseeable future with a 50% chance of a decline in the next six months. Following the meeting that ended on Wednesday, the Bank of Canada left the rate at 1.75% but was forced to note a number of negative factors such as faster deceleration of the global economy and lowered the forecast for Canadian GDP for the 1st quarter of 2019 from 0.8% to 0.3% in 2019. In general, the forecast has been reduced from 1.7% to 1.2% and this is against the background of a stable positive trend in oil. The Bank of Japan also left its support program unchanged based on monitoring the yield curve but worsened its outlook, saying that it would maintain very low-interest rates for an extended period of time, at least until spring 2020. In addition, the Bank of Japan also lowered forecasts for GDP and inflation for 2019 and 2020, which indicates an intention to continue to follow a soft policy. The Ifo business climate index fell to 99.2p in April, a slight increase a month ago to 99.6 p looks like a one-time correction. At the same time, the indices for assessing the current situation and the index of expectations have decreased. In general, news coming from Germany looks rather alarming. Production orders fell to their lowest level since the crisis and actual inventory data is very weak. The automotive industry is in decline due to the threat of the introduction of new tariffs from the US while the manufacturing industry is in recession as a whole. The service sector is still holding up in the positive zone but it will also inevitably follow the production sector amid falling real incomes. In general, there is a continuation of the negative effect of factors that were previously considered temporary in the eurozone such as news on Brexit, trade war, problems with German automakers, French protests of "yellow vests" and slowdown in China. Even assuming that the peak of the negative impact has already been overcome and the pressure will decrease by the end of the year, the recovery will be weak, as noted by many European institutions, who unanimously review forecasts for eurozone GDP downward growth. Accordingly, it is impossible to expect a steady growth from inflation since the dynamics of consumer prices directly depend on the growth of real incomes. All of these factors somehow influence the position of the ECB, which loses all reason to raise the rate not only this year but also the next. The ECB will mark the "dovish turn",pointing to the growing risks of a slowdown in the economy, and announced the introduction of two-year target refinancing operations from September 2019. Mario Draghi also announced the possibility of applying mitigating measures to arrest the side effects of negative interest rates if negative processes in the eurozone economy continue to accumulate. All of these factors in aggregate do not give any reason to count on the growth of rates in the foreseeable future and on the growth of the euro against the dollar. The powers of Mario Draghi will expire in October, after the launch of the new TLTRO program, and if his successor turns out to be more conservative, the euro will be able to start recovering against the dollar. In the meantime, the situation is developing negatively for the EUR/USD pair and the pressure on the European currency will increase. The breakdown of support at 1.1175/83 strengthened the bearish pressure with the nearest target of 1.1118. Technically, the euro can decline up to 1.07 in the medium term without attempting for a serious correction. On April 24, the GBP / USD pair dropped another 35 basis points, having fulfilled a previously successful attempt to break through the 100.0% Fibonacci level. Thus, the current wave counting implies a further reduction of the instrument with targets of 127.2% and 161.8% Fibonacci as part of building the proposed wave 3. Considering the unresolved situation around Brexit, I assume that the pair can update the minima in the future this year. The pound sterling does not receive any support from the news, and this is a significant factor for the market to continue getting rid of this currency. In the coming months, market sentiment will again depend on the progress of reaching an agreement on Brexit, no longer between the EU and the UK, but between Theresa May and the Parliament. The wave pattern still involves building a downtrend trend, especially after breaking through the bottom line of the triangle. Now, I recommend selling a pair with targets located near the estimated marks of 1.2839 and 1.2693, which corresponds to 127.2% and 161.8% in Fibonacci. On Wednesday, April 24, trading ended for 70 bp lower. Thus, the tool performed a successful attempt to break through the minimum of April 2, which resulted in making adjustments to the wave marking. The whole part of the trend, originating from January 10, is transformed into a complex 5-wave structure, which can be very long in time. The immediate objectives of the pair are the levels of 161.8% and 200.0% Fibonacci, which was built on the size of the estimated wave 2. Despite the fact that the news background for the pair remains neutral, it is clear that the markets have switched to active sales of the pair. Estimated 3-in-3 wave can also be very long. The pair resumed building a downward trend against the backdrop of the reluctance of markets to invest in the euro currency. Wave counting suffered changes. The current wave counting suggests a reduction in the pair with the closest targets 1.1097 and 1.1045, which equates to 161.8% and 200.0% Fibonacci. I recommend selling a pair for these purposes. On Thursday, technical analysis demonstrates an upward movement. The first upper target is 1.2867 - 8 average EMA (blue thin line). On Thursday, the market will continue to move down. The first lower target 1.1142 is a lower fractal and further down. On Thursday, the market will continue to move down. The first lower target 1.1142 is a lower fractal. For the last trading day, the euro / dollar currency pair showed high volatility of 84 points, as a result of having a breakdown of an important price level. From the point of view of technical analysis, we see a pulsed downward move, where the quotation overcame an important level of 1.1180 in the face of the local minimum of April 2. This coordinate, 1.1180, held the quotation for quite a long time, if you look at the trading chart, we see that the quotation clearly felt its support even on March 7, where the value test was recorded, which came from the accumulation of 2017-2016. The level fell, and went to the Bay of short positions. The news and news background, in principle, did not have any data in it. The only thing I discuss in the media is the request of the British Conservative Party for Theresa May's resignation roadmap, but so far there is no response. So what happened to the EURO? To tell, in fact, it is difficult, there are only hypotheses. Probably, there is a kind of recording of transactions of very large players, such as Deutsche Bank. And for this possible reason, we see such an inexplicable decline. Today, in terms of the economic calendar, we have only basic orders for durable goods in the United States, where they expect a slight increase. Analyzing the current trading chart, we see that after a pulse move up to 1.1141, a periodic point of support was found and a stagnation of versatile doji-type candles was formed. In this case, a rollback looks most logical, since there is a substantial oversold. However, referring to earlier declines and the lack of logic in them, we can assume that at this stage we will simply see a stagnation of 1.1140 / 1.1165. Traders, in turn, take a waiting position and work on the principle of "border breakdown" when placing trade orders. - We consider buy positions in case of a clear price fixing higher than 1.1165. - Positions for sale are considered in the case of a clear price fixing lower than 1.1140. Analyzing a different sector of timeframes (TF), we see that in the short, intraday and medium term, there is a downward interest on the general background of the market. In case of stagnation, indicators on smaller TFs can arbitrarily jump. Measurement of volatility reflects the average daily rate. The current time volatility is 18 points. In the event of a breakdown of stagnation, volatility will increase. Yesterday, the Canadian dollar paired with the American currency tested the 35th figure for the first time since January of this year. The catalyst for the northern impulse was the April meeting of the Bank of Canada and the results were announced last night. The regulator voiced a rather pessimistic position while reducing its forecasts for the growth of the country's GDP but most importantly, the Central Bank refused to further tighten monetary policy, at least in the foreseeable future. The disappointing results of yesterday's meeting laid the foundation for the northern trend of the USD/CAD pair at least to the first resistance level of 1.3610 (the upper line of the Bollinger Bands indicator on the weekly and monthly charts). It is worth noting that the Loonie took a course to the north last week, despite fairly good data on inflation. The March consumer price index rose to 1.9% while the core inflation on a monthly basis unexpectedly sank to 0.3%, with a growth forecast of up to 0.7%. In annual terms, the core inflation index rose to 1.6% with a forecast of 1.3%. In other words, the release was very mediocre, but not catastrophic. Nevertheless, the Canadian dollar reacted violently to this publication after short-term growth and collapsed throughout the market. The fact is that the Bank of Canada at its previous March meeting hinted rather clearly at the end of the interest rate increase cycle. However, the regulator voiced its position in two ways, wherein many experts in their assessments did not rule out an increase in the rate in the second half of this year. Yet, the uncertain inflation growth actually put an end to this issue, especially against the background of other macroeconomic reports. Yesterday, the Canadian Central Bank only confirmed the concerns of traders. First of all, the Bank of Canada has revised its forecasts for the growth of the national economy, and quite significantly. Thus, the forecast for GDP growth in the last quarter of last year was reduced to 0.4% from the previous 1.3% and in the first quarter of this year, it resulted to 0.3% from the previous 0.8%. The forecast of economic growth in the current year was also revised downwards from 1.7% to 1.2%. In 2020 and 2021, annual GDP growth will be about two percent. Stephen Poloz also clarified that the growth of the Canadian economy in the first half of this year will probably be even weaker than the forecasts made, while key indicators are expected to recover in the second half of 2019. Also, the head of the Canadian Central Bank focused on the slowdown in the housing market and consumer activity. In his opinion, these factors played a significant role in slowing the economy as a whole. It is worth noting that the average cost of housing over the past year decreased by almost six percent, in particular, due to lower demand and more stringent and complex rules for obtaining a mortgage. The remaining structural elements of GDP also show negative dynamics. For example, the volume of investments in the Canadian economy declined by more than 3%, investment in real estate by 4.9% and new projects by 5.5%. The dynamics of the industrial sector are also disappointing, especially against the background of an uncertain situation in the oil market. A significant drop in consumer activity is also a serious problem. The basic retail sales index was in the negative area for four months from December to March. Only in April, it was able to exceed the zero value. In addition, the increase in full-time employment has slowed significantly while part-time employment is gaining momentum. This is reflected in the dynamics of wage growth in the country and the dynamics of household spending, which have been falling for the second quarter in a row. Thus, the pessimism of the Canadian regulator is fully justified. In my opinion, the Bank of Canada is unlikely to decide to tighten monetary policy this year even if the country's GDP growth accelerates in the second half of the year. Consequently, the Canadian dollar has lost a significant trump card for its growth. Now, the downward dynamics of the USD/CAD pair will only be caused by the weakness of the US currency. In this context, today's release of data on US GDP growth is important. If this indicator disappoints the traders, a corrective pullback to the base of the 34th figure is possible for the pair. Otherwise, Loonies will test the 35th figure today, heading towards the main upward target of 1.3610. From a technical point of view, further growth is also expected. On the daily chart, the price is testing the upper line of the Bollinger Bands indicator while on the weekly chart, it is between the middle and upper lines. This indicates that the upward movement is the priority. In addition, on D1, the pair is above the Kumo cloud, and the Ichimoku Kinko Hyo indicator has formed a bullish Parade of Lines signal. The support level is found on the Tenkan-sen line at 1.3401, which coincides with the Kijun-Sen line. On the other hand, the resistance level is at 1.3610 mark, which is the top line of the Bollinger Bands indicator on the weekly chart. The volatility in the GBP/USD currency pair has increased, the downward trend on the pair remained. As we have repeatedly said in earlier reviews, the British currency is now only one – down. Of course, there may be corrections, there may be rollbacks. A currency cannot depreciate continuously. However, the downward trend will prevail until there is clarity on Brexit. And on the one hand, the UK received a delay of 6 months to resolve the situation with Brexit. On the other hand, it is an additional 6 months to reduce the pound. Traders are well aware that in the current situation to buy the pound, especially in the medium and long term, does not make any sense. Today, the movement of the currency pair may be affected by the report on orders for durable goods of the United States. However, the situation is similar to the situation with the EUR/USD pair, the fall of the pound is likely to be technical in nature, which can cause an upward correction today or tomorrow. On the topic of Brexit, no important messages have been received in recent days. Also, the resignation of Theresa May remains unclear. Rumors that she may be put forward another vote of no confidence continue to spread. However, the resignation is unlikely to solve the problems of the UK, given that the European Union has flatly refused to conduct new negotiations on Brexit. The pair GBP/USD continues its downward movement. Thus, it is recommended to trade short positions with targets at 1.2909 and 1.2878 before turning Heiken Ashi's indicator to the top, which will indicate a round of upward correction. Long positions are recommended to be considered after fixing the pair above the moving average line with targets at 1.3031 and 1.3062. In the current circumstances, this option is unlikely. On Thursday, April 25, the EUR/USD currency pair continues its downward movement, as evidenced by the blue bars of the Heiken Ashi indicator. Despite the fact that macroeconomic data are not available to traders now, a very significant event has occurred for the pair. Namely, overcoming the level of 1.1200, which kept the pair from further falling for several months. 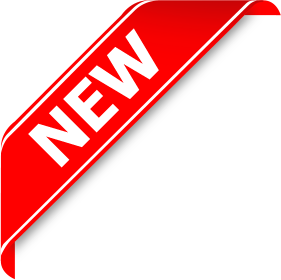 Thus, market participants have now removed the psychological barrier that keeps them from new sales of the pair. This explains the relatively strong downward movement yesterday. Today, the United States will publish a fairly important report on orders for long-term use of goods for March. According to experts, all indicators should grow in comparison with the reporting periods. If the forecast comes true, then traders will have the necessary grounds for new pair sales. At the same time, we draw attention to the fact that the current decline in the euro currency is clearly of a technical nature. That is, the reaction to the report from the US may not follow. Given the relatively strong decline in the euro against the US dollar in recent days, a correction is even more likely. However, it is not necessary to try to guess its beginning, it is better to closely monitor the readings of the "fast" indicator Heiken Ashi, and at the time of the release of the report in the US, trade with extreme caution. The EUR/USD currency pair continues its downward movement. Thus, it is still recommended to consider short positions with the target at 1.1108 before the reversal of the Heiken Ashi indicator to the top. Buy positions are recommended to open no earlier than fixing the pair above the moving average with the target at 1.1292. The upward correction is brewing, but so far there is no reason to overcome the MA. Do you want to trade in the foreign exchange market, but are afraid to lose your money?